Police in New Mexico are searching for Hector Dominguez for the Murder of Edward Sanchez. On September 20, 1997, the Chavex County Sheriff's Office in Roswell, NM received a tip about the body of a missing person being located off a local highway. When police responded, they indeed find the victim, Edward Sanchez, lying face up with two gunshot wounds to the head. An autopsy later determined that Sanchez had died from those injuries. Investigators started asking questions to find the friends and family of Sanchez. whey they learned from witnesses was that Snachez had been hanging out with a couple of guys on the night of September 18, 1997. Police say one of these men was Hector Dominguez. Police believe Dominguez was the shooter and purposely took Sanchez out to that area with the intent of killing him. Police are not exactly sure of a motive. However, they believe it may have to do with something Sanchez witnessed or possibly a debt Sanchez owed Dominguez. Information valid as of last update. If you or anyone you know has information about this murder we urge you to help. If you have information leading to the arrest and conviction of the MURDERER(S), you may receive a REWARD from Crimestoppers. You may contact Detective Albert Padilla at the Chavez County Sheriff's Office at 505-624-6500 or call Crimestoppers at 505-843-7867, or email us. 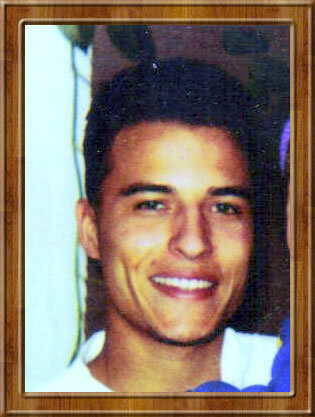 Please click here to visit a memorial page in honor of Edward Raymond Sanchez.